Addis Ababa, February 6, 2019 – The Board of Directors of Wegagen Bank has announced that Ato Abay Mahari has been appointed as the 5th Chief Executive Officer/President of Wegagen Bank, effective February 1, 2019. Ato Abay Mehari has an extensive experience in the banking industry. He graduated from Addis Ababa University with BSC in statistics in 1985 and earned a Masters Degree in Business Administration from Greenwich University. He started his career as a young professional with Commercial Bank of Ethiopia in 1986 where he worked in diverse roles ranging from junior statistician, planning and budgeting officer, Statistics Department Head, and Credit Information Head. He has served as Retail Credit Assessment and Corporate Relationship Manager, consecutively. During his continued career at the CBE, he has been elevated to a higher position to serve as the Vice President, Credit Management function of Commercial Bank of Ethiopia from 2008, up to his appointment at Wegagen Bank as a President. The Chairman of the Board of Directors of Wegagen, Ato Mengisteab G/Kidan said, “Ato Abay Mehari is a seasoned banker and his career which spans over 28 years within the banking industry combined with his leadership capability will be of significant value in his role as a CEO”. The Chairman added, “The Board of Directors is pleased to appoint Ato Abay to the role of Chief Executive Officer and look forward to leveraging his expertise and track record in steering the Bank forward”. Ato Mengisteab stated that Ato Abay Mehari replaces Ato Araya G/Egziabher who recently announced his resignation from the position. Ato Araya has been serving the Bank at different capacities over the last almost 20 years, thirteen of which as a CEO. The Chairman added, “on behalf of the Board of Directors, the Management, and entire Bank’s community, I would like to thank Ato Araya for his dedicated service & outstanding achievements”. Applicants for the position of Associate Jr. Customer Service Officer whose names listed here under are selected for further screening. 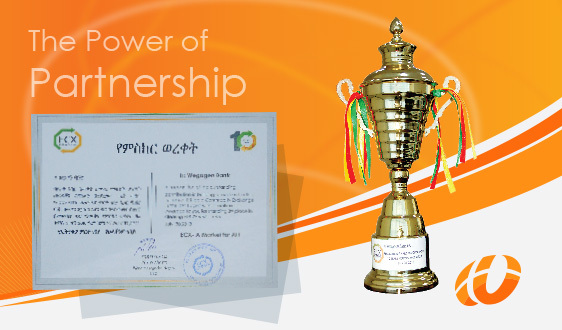 Wegagen Bank has received a trophy and certificate from ECX (Ethiopian Commodity Exchange) for standing third in clearing the largest amount of settlements among all clearing banks during the course of the past ten years. 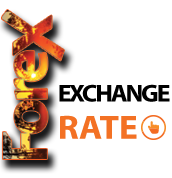 Wegagen has earned the award and the certificate of recognition on the occasion of the 10th Anniversary of ECX for its outstanding contribution in building modern trading system and clearing over Birr 23 billion since joining the platform as a clearing Bank. Wegagen Bank’s Accounts and Reconciliation Director, Kindie Abebe, received the award on behalf of the Bank on July 28, 2018. We would like to extend our utmost gratitude to our esteemed customers for choosing to work with us and congratulate the entire Wegagen family, the Board of Directors, Executive Management and employees, for this outstanding achievement. Wegagen Bank donated Birr 23 million in the 2017/18 fiscal year to various regional governments to support their effort in the rehabilitation of internally displaced people. In a similar development, the Bank granted Birr two million to strengthen the effort to control and eradicate the American Army weed or locally known as “Emboch” which has infested the Lake Tana threatening the livelihood of thousands of farmers. The Donations were made to support the efforts being exerted to rehabilitate internally displaced people following communal conflicts mainly in Oromia and Ethio-Somali regions and SNNP and Oromia regions. The donations cheques have been handed over to corresponding authorities in Oromia, Ethio-Somali and SNNP regions in various events in the presence of high ranking regional government officials and the Bank’s executives. Over the past 21 years, the Bank has been responsive to the calls of the government of Ethiopia and regional governments during the times of natural and man made disasters extending its support morally and financially. As part of discharging its corporate social responsibility the Bank allocates budget regularly to address various social and environmental challenges faced by various communities. Wegagen Bank awards important customers engaged in export business, International money transfer service and partners contributed to foreign currency earning through swift. 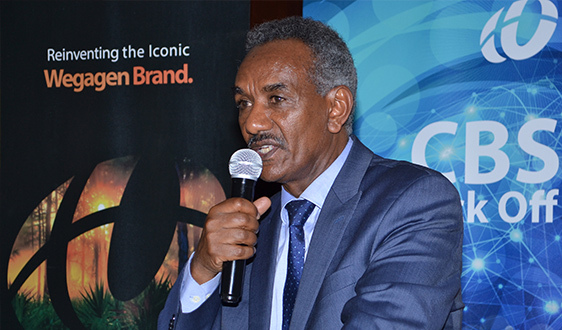 During the Bank’s annual Forex Day held at Capital Hotel and Spa on November 2, 2017 Board Chairman Teferi Zewdu said that the Bank has earned 425.5 million USD in the last fiscal year ended on June 30,2017. The foreign currency earning of the Bank showed 60.3 percent increase from that of 2015/16 fiscal year amounting to 160 million USD, the Chairman said. The Board Chairman expressed the Bank’s readiness to give a better service to customers and partners engaged in foreign currency generation with a view to increasing foreign currency inflow to the country. On the occasion Ato Teferi and CEO Ato Araya Gebre Egziabher handed over accolades and certificates of recognition to prominent customers who generated large amount of foreign currency in the last fiscal year ended on June 30, 2017. Wegagen Bank declared that it earned a gross profit of Birr 708.1 million in the 2016/17 Fiscal Year ended June 30, 2017. The Bank has officially announced this achievement in the audited annual report presented at the 24th Ordinary Shareholders’ meeting held at Hilton Addis Ababa on November 16, 2017. 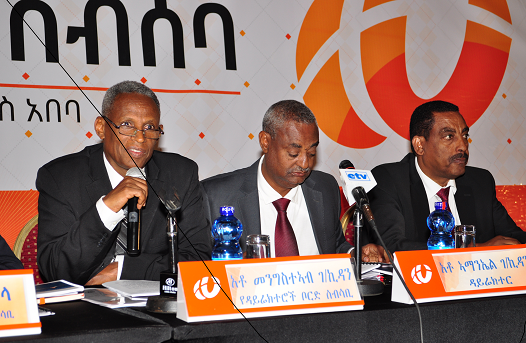 Bank President Araya G/Egziabher on the occasion said that the Bank earned a net profit of Birr 532.1 million in 2016/17 Fiscal Year after paying a profit tax of over 175.9 million. The Bank’s paid up capital which was 1.7 billion at the end of 2015/16 Fiscal Year, grew to Birr 2.1 billion in 2016/17 and the total capital including reserves reached Birr 3.4 billion. In addition, the Bank’s total asset rose to Birr 20.9 billion from Birr 16.1 billion at the end of 2015/16. In a similar trend, the total deposit mobilized reached Birr 15.6 billion while the total loans and advances increased to Birr 10.2 billion. The number of shareholders is now 3,192, while the number of employees stood at 4,148 as at April 30, 2018. During their general assembly meeting on Thursday November 10 at Hilton Hotel the Wegagen bank announced that its profits increased by 26 million birr. During the 2015/16 fiscal year Wegagen took in a gross profit of 478.5 million birr before tax. That comes to 375.6 million birr after tax. The bank has legal reserves of 94 million birr. 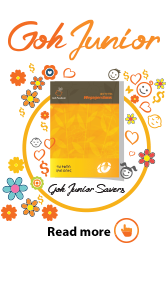 The annual report of Wegagen indicated that earnings per share went down slightly last year. According to the report, the earning per share was 222 birr for a 1,000 birr share. Previously earnings per share stood at 244 birr.Wegagen stated that the company’s assets grew significantly. The report shows total assets of the bank climbed to 16 billion birr form 13.7 billion. According to the report deposits went up by 1.2 billion birr, to 11 billion birr, in total.The bank had 7.6 billion birr in loans under litigation an increase from the 6.2 billion birr in the 2014/15 fiscal year. Imports accessed 1.44 billion birr in loans with exports accessing 1.42 billion birr. Addis Ababa, September 30, 2017 (FBC) – President Mulatu Teshome today inaugurated a 23-storey building built by Wegagen Bank S.C at a cost of over 805 million birr (approximately $34.5 million at current exchange rate). After inaugurating the building rested on 1,800 square meters of land, the President said Ethiopian private banks, including Wegagen, have been contributing a lot for the economic growth of the country by serving as a source of finance for investors and businesses. The President urged Wegagen Bank to strengthen its role of becoming an additional source of capital for investors engaged in socio-economic development sectors. Teferi Zewdu, Chairperson of the Bank’s Board of Directors, said the new building, with a height of 107 meters, will help the bank achieve its vision of becoming one of the top ten banks in Africa by 2025. 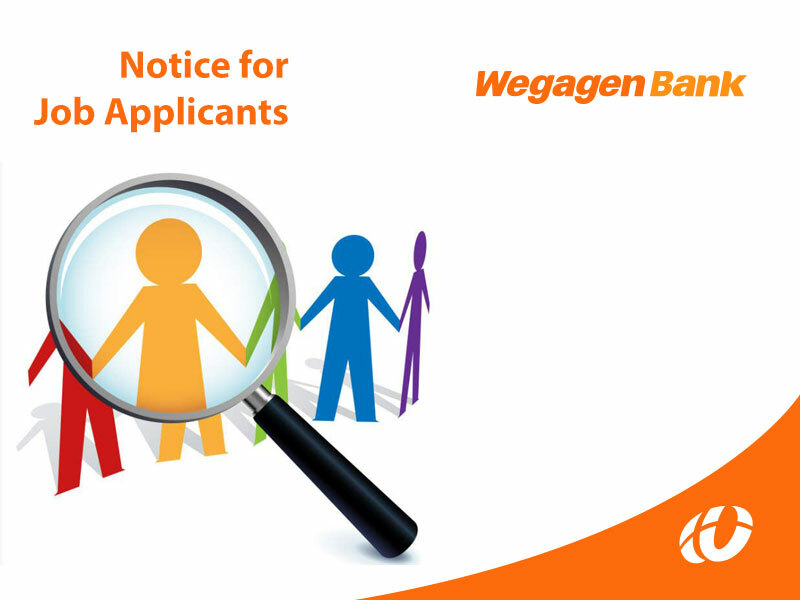 Established in 1997, Wegagen Bank has a network of 211 branches of which 83 are in Addis Ababa and the remaining 128 are located in regional cities and towns of the country.